9Paths is the leading provider of scalable team alignment and leadership solutions utilizing the Enneagram, and founded on over 20 years experience in human development counseling and executive leadership. Our expert certified facilitators and coaches are insightful, multidisciplinary professionals who's job is to help organizations, leaders and individuals thrive. We are passionate about what we do and we constantly strive to bring innovative solutions to complex business problems. From small businesses to some of the most recognizable companies in the world, to high-performing individuals looking to expand your edge, we are the company you want to work with. Contact us to discuss a custom training and coaching package that suits the needs of your organization or review our services. Sharon is Enneastyle 3 and passionate about seeing people live consciously and living out of their best self. Sharon founded 9Paths after 17 years of working with individuals, groups and executives as a clinician and supervisor in the counseling industry. Building on those years of listening and observing human behavior, she began to focus on the needs of organizations, teams and leaders. She now provides services to organizations all over the world, working with startups, small business and Fortune 50 companies. Her niche is in Diversity and Inclusion, conflict resolution and team building. She founded Nashville Enneagram Center for Wellbeing, a center that provides clinical care for all people and offers a flexible scale. She is a senior member of the Enneagram in Business network and a certified Enneagram trainer and consultant. 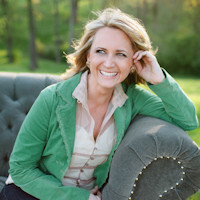 She is a published author, speaker, and co-founder of one of Nashville's best Mexican Restaurants. She has been a first responder and Critical Incident Stress Specialist for workplace trauma involving violence and natural disasters Katrina and the Tsunami. Sharon is active in her community with the military and Rescue Global 1, a non-profit for human-trafficking victims. Milton is Enneastyle 7, a creative innovator bringing ideas into reality. He is passionate about leadership and team development. Milton has his MBA both in Leadership and Entrepreneurship. He is a certified Enneagram Coach with the Enneagram in Business network and a Certified Career Coach. Milton’s leadership skills developed over the years as he participated in The Boy Scouts of America achieving Eagle Scout Award and continued to find himself in leadership roles throughout his life. Milton assists 9P with special projects and executive coaching. Madison is Enneastyle 8, a challenging advocate focused on bringing the best out of people. Madison has her M.S. in Clinical Mental Health and is a PHD Candidate for Boston University. She is on staff at Nashville Enneagram Center for Wellbeing and is an executive coach for 9P. Madison focuses on empowering all people to live out of their strengths in the workplace, tackle their growth areas and increase awareness of their unconscious biases.